Rowers provide a solid upper body workout for your shoulders, rhomboids, and back muscles with each pull. These machines are highly versatile and are becoming more affordable in line with treadmills that are more common. Rowing machines for home use can cost as little as $300 or as high as $2,000. These also come under different brands, with features that can confound the uninitiated. You’ll see this machine at gyms. And the rather affordable price tag and moderately compact design make it suitable for home use as well. The Performance Monitor 5! This self-calibrating heart rate monitor works wirelessly and can calibrate itself. The monitor can connect via apps to heart rate belts. It shows workout performance in vital data terms such as distance rowed, or in splits for more real-time performance monitoring. The machine has a 14-inch seat so even people who are slightly taller or shorter than average can use it. The seat has an adjustable footrest and is very ergonomically designed. The air resistant flywheel is wonderfully well-built. It’s relatively noise free and allows easy adjustment of workout intensity. The machine can be separated into two parts for easy storage. It can hold up to 500 pounds of weight. The foot straps don’t have Velcro adjustments. So these can be a pain to adjust. The seat, while well-built, is very tough to sit on. Without cushioning, people with back pain might feel uncomfortable. This air rower is perfect for people looking for a compact and affordable machine for exclusive home use. This one weighs only 73 pounds. This is not a gym-quality machine. If you are already an experienced rower, you might not find this product much useful. However, if you are just starting out at home, you will find this air rower easy to handle. This machine is highly portable and highly efficient. The air rower uses the wind to create resistance. It’s very smooth and the resistance does not come with any lag, unlike in other cheaper machines. As convenient as it is, this air rower is noisy. Expect to big whooshes of wind when using that won’t sound appealing to everyone else in the house or apartment. The rower is made from a durable metal with a chrome seat rail. The seat rail is oversized so even large people can comfortably use this machine. The seat is foam padded. The ball bearing rollers under the seat smoothly moves it front and back. This comes with a 3-year warranty just for the frame. You can easily get replacement parts in case the metal malfunctions in any way. This rowing machine is handcrafted! It’s not just an exercise machine, it’s a work of art. It actually rose to popularity as the rower from the House of Cards. Though steeply priced, it’s well worth it. This rowing machine is built from ash wood. The wooden body is finished with Danish oil and black and rose stain. It’s quite beautiful and would look aesthetically pleasing in a modern home. It’s more like artsy furniture than a drab exercise machine. The water flywheel. The flywheel is filled with water and emulates the actual feel of rowing. The resistance this machine can create is highly dynamic as if you are actually moving through water. The resistance is self-regulated so it’s more natural. It’s not without high-tech gadgets either. There’s a performance monitor that gives vital stats including heart rate, workout intensity, stroke pace, and many more. The monitor doesn’t track calories burned, however. The ash wooden body is wonderful at absorbing shock and vibrations. It works very quietly and is well suited for high-traffic parts of the house. It’s not as durable as the metal ones. You will have to take care to clean it, to keep the finish intact. The screws can also come loose with continuous use. It’s recommended to check the machine every once in a while. 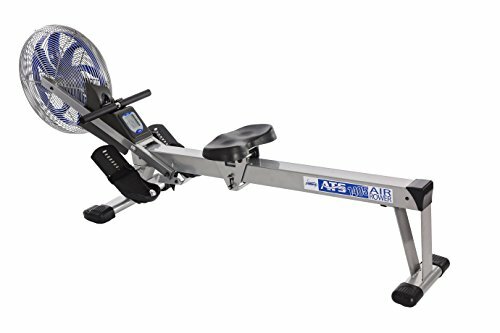 Unlike the two machines mentioned above, this rower has a magnetic tension system. Meaning it creates resistance with cords like bicep curling machines. The advantage of magnetic tension rowers? They can vary greatly in the levels of intensity created compared to the previous two. This rower can create as many as 8 levels of adjustable resistance! This rower is incredibly quiet despite the amazing workout it can provide. You can work this with someone sleeping in the next room without waking them up. Plus, it’s very comfortably designed with a fully padded seat. The foot pedals are very large as well. The pedals have non-slip grip handlebars. The machine can support up to 250 lbs. It has transportation wheels built-in. It is also highly portable and easy to store. The machine comes with a solid LCD display. You can get data for calories, distance, strokes, scans, and more info without any hassle. 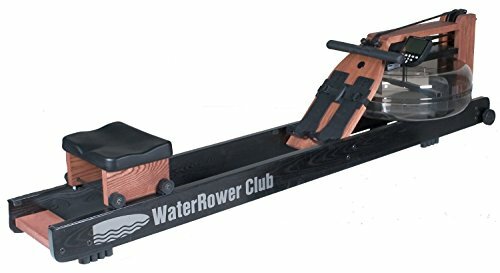 This rower is extremely affordable. It’s one of the least expensive models you can find on the market that’s not a cheap knockoff. However, it’s not as durable as an air wheel rower. Don’t expect this to last as long as the Concept2 or the WaterRower mentioned above. It’s programmable! It comes with a dozen workout profiles for cardio and other exercises. No matter what you do, this rower stays quiet as well. It’s designed with an LCD screen and a fitness monitor. The monitor can be adjusted while the machine is in use to change the resistance level. The rower is made of aluminum. The puller is nylon so it’s incredibly quiet and sturdy. This machine works on the fly. It has a larger than average seat that even people taller than 6 feet can comfortably use. While the LCD display for the fitness worker looks great, it is prone to giving errors. Users will have to be alert and update the software when needed. This rower can generally deliver highly resistant workouts that really wok the upper body. The operation can be expected to be smooth. The foot straps, though, have no Velcro. They can be rather annoying to put on. The price tag is quite affordable for home use. 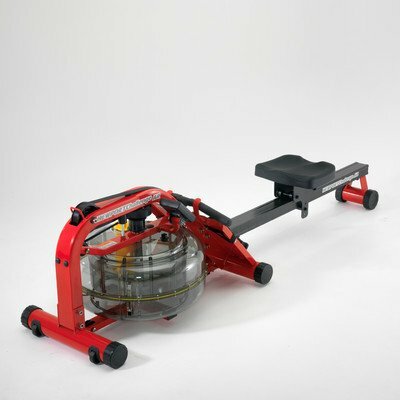 It’s about as cheap as a magnetic rower but with more strength, thanks to the air wheel. This water rowing machine not only promises quiet operation and durability, but the fluid resistance is adjustable too. That’s right; the resistance of the pull can be adjusted from “feather light” to intense workout. It’s largely thanks to an improved pulley mechanism. The machine is paired with a multilevel monitor that has a USB output. The monitor displays vital data easily. The belt drive. It’s smooth, clean, and requires no maintenance. The footplate that is height-adjustable is also an excellent feature. Keep in mind though, that if you are over 6-feet tall you might still struggle to use this machine. The seat comes with low friction rollers that eliminate noise and strain on arms. However, it could be more comfortable to sit on. The alloy metal body is quite durable and sturdy. There are built-in wheels to roll this around. The water volume for this machine varies. The water wheel can hold up to 17 liters of liquid. The features are considerable, and so is the price. Expect to pay well because this is a water wheel rower. Rowing machines are categorized according to how pull action and resistance are created. There are three main types that you will encounter when shopping for a rower. Also called hydraulic rowers, these machines have a wheel in the middle that should be filled with water. The water level determines how resistant the machine can be. Water rowers are well-known for simulating the action of actual rowing. Other machines mostly just give a general workout. These machines can feel less like gym equipment and more like an actual rower. It’s not perfect, but it’s the closest you’ll get to the real thing. Water rowers have been gaining popularity thanks to their charming exterior designs. Many have stunning wooden bodies. Water wheel rowers are dynamic, but don’t expect them to be cheap. Also called the flywheel rowers, these machines create tension and resistance using air. Lacking any water, these machines tend to be lightweight. Flywheel rowing machines are also the smallest among the three. If you live in an apartment or an otherwise space-strapped area, the compact size of these machines are ideal for storage. These rowing machines are known to be very smooth to use. They are quiet and the resistance levels can gradually be altered. Flywheel rowing machines are also the most popular among fitness enthusiasts. You’ll commonly find these machines in gyms. These rowers have a magnetic brake system to create resistance. As a result, this machine is the least expensive of the three. Magnetic tension rowers are also incredibly quiet. There is no air fan or a water wheel to make any noise. The magnetic resistance may feel just like using a tricep or a bicep curler. These machines work much smoother compared to the other two. 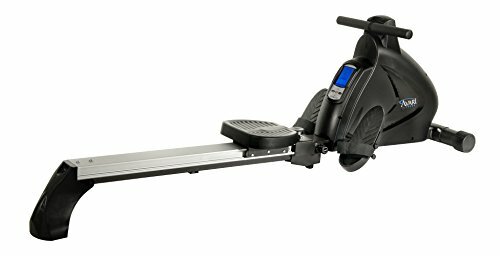 Magnetic rowers are great for fitness lovers on a budget. These machines are best-suited for beginners because resistance levels are generally low. So what are the specs you should look for when buying a rower? Keep scrolling down to find out. As mentioned above, there are three sources of resistance—water wheels, air wheels, and magnetic resistance. How the rower functions would depend on the source of resistance. Therefore, this is one of the most important features to look for. The noise level of the machine will also depend on the type of wheel you encounter. Find a rower with a great performance monitor that gives out vital data. This is of utmost importance when buying a rower. Namely, the performance monitor should have a big, clear screen so you can see it when working out. Being able to adjust resistance with a swipe when working out would be a great plus point too. Is the seat adjustable? Would you be able to get on it if you are over 6-feet tall? It’s important to buy a machine that won’t hurt your back when rowing. 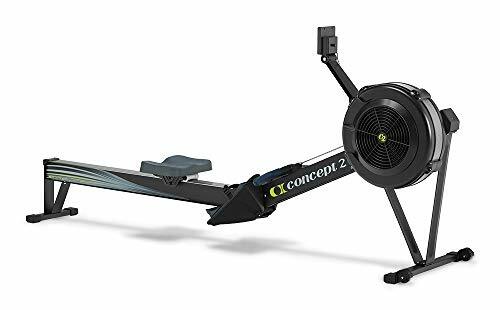 You probably don’t want a rower that won’t fit in your home gym, apartment living room, or any other area. Therefore, the overall size of the rower plays an important role. Some rowers can be folded or split in two for easy storage. These would be great if you require space efficiency. Some rowers are naturally noisier than others. Check if the manufacturers specify if the rower is low-noise. A loud rower might disturb others in your home. It would also get in the way of you enjoying music or watching TV. Generally speaking, water rowers and magnetic resistance rowers make the least noise. Check the maximum user weight—If you are overweight, make sure the rower you purchase can support your weight. The maximum user weight should indicate whether you can use the machine without breaking it. Footstrap comfort—Can you get the footstraps on easily? Do they secure with Velcro? Don’t forget to ask these questions when buying. 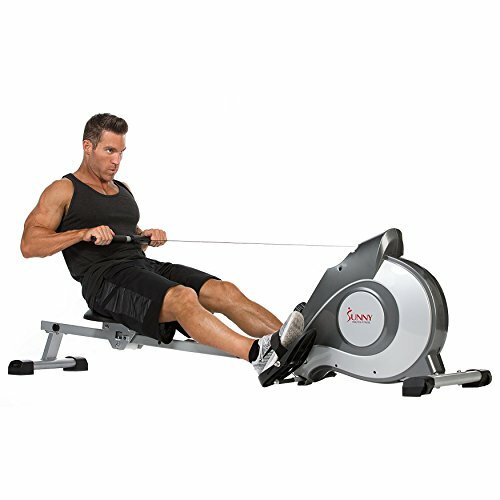 Reasonable price—The features of the rower must justify the price. It is mostly determined by the type of rower you purchase. You can expect water wheel rowers to be the most expensive because of the high-quality hardware. It’s not worthwhile to spend thousands of dollars on a magnetic resistance rower, which won’t last as long. Durability—Rowers can last as long as the source of resistance can hold on. Water wheels are the most durable because these are self-adjusting. When buying, you can check the warranty to get an understanding of how long a machine would last. A long-lasting machine would certainly deliver the best value for what you pay. A rowing machine would do wonders for your workout, as long as you purchase the right type. Rowers mainly differ based on the type of resistance mechanism built into the machine. The best rowing machine can support your weight comfortably, is long lasting, delivers an intensive workout with adjustable resistance level, and doesn’t hurt the ears when in use. Balance these main features to purchase a good rower that you can rely on.